for the one who is alone. what is that I see sparkling over there? I am so excited about the tip I'm about to share with you regarding distilled white vinegar. Those of you on my FB page or on the Green Grandma's Vinegar Friday's FB page may have already read it. But it's just too good not to share with the whole community. One seasonal vinegar tip I have is that at least once a year (around this time) I save all my peels from oranges or other citrus fruits and cover with white vinegar. I let it set for a few months (or at least 6 weeks) and then I can use my great citrus vinegar for my homemade cleaner recipes and have lovely orange scented floors and counters. Isn't that awesome?! I can't wait until my concoction has plenty of time to steep! I think that tip is so beyond wonderful, that it's the only one I'm going to share today. Have a fabulous Vinegar Friday and a safe, healthy and happy holiday weekend. By the way, I just gave away a copy of Green Grandma's Vinegar Fridays last week and am planning another giveaway when the FB page reaches 100 'likes.' If you haven't 'liked' the page yet, please do! I'm sitting at my desk for the first time since before Christmas, and I'm hoping my body can adjust to this new, non-prone position long enough for me to get some work done. So, how were your holidays? Were they light with merriment or weighed down with stress? Mine were a bit of both. I can't tell you how disappointed I was to wake up on Monday with a sore throat and headache. We celebrated Christmas with our daughters and their families on Monday. By the time the crowd descended on us, with their mountains of presents, I was feeling worse. As we were opening presents, a cloud of "you're getting sick" hovered overhead, filling me with dread. I made dinner, set the table and finally sat down to eat. By that time, my throat hurt so much, I couldn't swallow. I kept pushing myself, even through serving dessert, but then I'd had enough. Excusing myself and thanking everyone for their gifts, I headed upstairs, where I basically remained until now. Just a little while ago, I ventured downstairs to grab something to eat, although I have no appetite, and then I came back up to my office, where I'm hoping to remain for most of the afternoon. Has illness ever prevented you from having a good time with your family and/or friends? Has it ever made you miss a deadline? When you work for your own business, like I do, there are no paid sick days. If I don't work, I don't make any money. Not a good way to end the year, let me tell you. In my book, Green Grandma's Vinegar Fridays, I have an entire chapter dedicated to vinegar and health. However, this time around, the vinegar was of no help. That's not to say it hasn't helped in the past, but this bout of illness knocked me down fast and hard. I could kick myself, however. Why? Because my husband and I discovered a 'miracle' liquid that, through the years, helped up escape this kind of stuff. What is it? 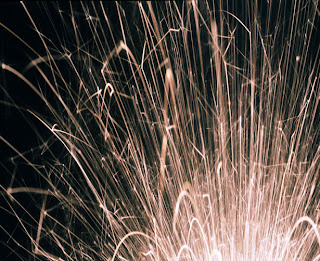 It's called Liquid Lightning Silver Plus and is manufactured by a company called Innerlight. We ran out of it awhile back and, because it's rather expensive, didn't order any more. Big mistake. Yesterday, I went online and ordered 4 bottles. LL Silver Plus is de-mineralized water with silver, gold, copper and titanium and comes in a 1 oz. bottle. You simply put a couple drops under your tongue every day and it really works at killing any germs you may breathe in or ingest. In the years when we're taking it faithfully, we don't even get so much as a sniffle. And the most amazing thing is that I don't have any problems with my asthma. Before we were introduced to LL Silver Plus, I generally ended up hospitalized every February for pneumonia. I had to use a couple different inhalers, a nebulizer and oral meds. When taking the LL Silver Plus, I don't need anything. So, again, why, oh why, did we allow ourselves to run out of it? Stupid. That's all. Just plain stupid. Are you like that with anything? You know it helps, but you just stop doing it, or taking it, for one reason or another? What is that all about? We grow complacent in our wellness, don't we? That's what happened to me, but let me tell you, this was a wake up call! In a few days, the package will arrive and Bill and I will start loading up on the LL Silver Plus. Is it safe? You bet. As long as you take it according to the directions. 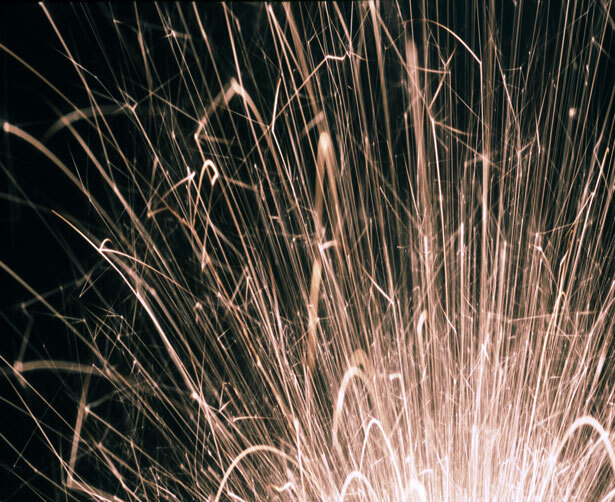 Silver is an amazing mineral -- before there were antibiotics, there was silver. That's what they used to treat illness many years ago. But then pharmaceuticals were born and nothing's been the same since. Google it yourself. You'll be surprised by the benefits of silver ... even the health benefits of eating from silver spoons and forks! As we 'advance,' it seems progress keeps shooting us in the foot in one way or another. That's why, you keep hearing me refer back to old-fashioned ways mixed with a good dose of 21st century common sense. If you're interested in hearing more, just email me. What a weird title for this post. However, because I'm still really sick (actually worse than I was Monday or Tuesday), I don't think I could post a fair review of anything right now. Rather than write something that will be colored with a fever, headache, body aches, sore throat, and aching eyes, it's best for me to leave the review for the new year, when I'll be feeling better (I hope!!). Feel free to check out all the other reviews I've posted on the blog. Just type in "Review it Wednesdays" in the search bar at the bottom, and you'll have a whole slew of them to pick from. Yesterday was our family Christmas celebration, with far too many presents, laughing (and sometimes crying) kiddos and lots of food. Oh, and a horrific sore throat, swollen glands and a fever that hit 102.4. That was how my day progressed. By the time we sat down to the dinner I made, I couldn't eat it. My throat was too swollen and sore to swallow the food. What a disappointment. And the honey/ACV didn't help ... at all. I ended up excusing myself and heading to bed. I woke up today with that dry-mouth-tongue-stuck-to-the-roof-of-my-mouth crap, a sore throat, fever of 100.4 and an ocular migraine. I took a shower and went back to bed. Now, I'm feeling a bit better ... and I'm feeling optimistic. The fever broke, so maybe this was a 24 hour thing and I'll be feeling just dandy by this evening. That would be a perk, as there's still quite a mess to clean up from yesterday's festivities. Don't you hate when things don't go as planned? 50 'likes' means we have a winner! I'm happy to say we reached 50 'likes' on the Green Grandma's Vinegar Fridays Facebook page ... which means I'm giving away a copy of the book! Via Random.org, number 42 is the winner! Congratulations to Jessica Barber!! Email your address to me and I'll get a signed book out to you! Yesterday was pretty much a typical Sabbath for me. It started with attending church with the family. After church, however, our daughters and their families headed off in different directions to celebrate Christmas with their in-laws, and Bill and I were on our own. It was a lovely, quiet day. Movies, music, games, and a wonderful dinner of bacon-wrapped filet mignon (thanks to a generous Omaha Steaks gift from my mother), snowpeas with brown butter and mushrooms. Oh, and presents. Bill and I opened our presents late in the afternoon yesterday while sitting on the opened sofabed in our family room, where we've been sleeping in front of the lit Christmas tree for the last 3 nights. It was a relaxing Sabbath. Today, the craziness begins! At 1:00, the kids and grandkids will descend on us, with arms full of presents. There will be food, drink, gift exchange and merriment throughout the afternoon and evening. And since we're doing this the day after Christmas, no one will have to leave early or come late as they don't have to visit with the other families today. That's the perk. We've done it this way for the past 3 years and it has worked well for us. But that's because Christmas has fallen on the weekends. Next year it's on a Tuesday, and many will have to work on Wednesday, so I don't know what will happen. I guess we'll deal with that next year. For now, I plan to enjoy my day with my family ... my wonderful, wonderful family. Did you check out the brand new Green Grandma's Vinegar Fridays Facebook page yet? I'm giving away a copy of the book when we reach 50 fans. As of this morning, there were 41 already, so make sure you 'like' the page soon so you can have a chance to win! Wanda writes: I use vinegar (or I should say, my nine year-old uses vinegar) to clean his retainer. Every night, as he's brushing his teeth, he puts his retainer in a lidded container, covers it with vinegar, and shakes it around for three minutes. Then he scrubs it with his clean and rinsed toothbrush. When referring to cleaning the microwave with vinegar, Wanda also commented that the vinegar steam is good for cleaning out the ventilation system as well. Good point! I hadn't thought of that before. Louise writes: I keep a small bottle in my laundry room and add some when I wash an item for the first time to "set" the colour. Louise also posted: I think I have a new favorite Facebook page! Love it! Isn't it time for you to 'like' (or in Louise's case, 'love') the page as well?! It's only a few days old and I'm loving it already, thanks to the tips that are coming in! Does anyone sense a 2nd volume of VF in the works?! There is an email that has been circulating for years about the 11 rules of life. It has been falsely attributed to Bill Gates. From what I've read, this list was written by Charles J. Sykes, but it's been passed around and published so often, it's hard to pin down the particulars. I do find it worth sharing. You might even want to print it, wrap it and put it under the tree on Sunday for every teen in your life. These are some pretty important lessons, not just for teens, however. ﻿Some of these are reminders to us as well. So, here it is the first day of Hanukkah and the Wednesday before Christmas. I'm thinking that no one will really care about anything I review right now, much less run out (or go online) to buy it. Therefore, I'm not going to review a product. I'm going to review a brand new Facebook page. How fun is that?! This is not something you have to buy, you simply have to 'like' it. Sound good? It's the Green Grandma's Vinegar Fridays page, and let me tell you ... it's an awesome page. Or, at least, it will be. Why? Because of you. This is a page where we can all share our vinegar tips ... and if yours is a new one for me, it just might make it's way into Volume Two of Vinegar Fridays! I'll post tips from the book, too. Along with new tips I find. Plus, I'll let you know about specials on the book ... and reviews and giveaways. Lots of fun stuff. Just like the book, it is a dash of vinegar with a splash of personality! Hope to visit with you there! It was on this day in 1989 that I went on my first date with my husband. It was an unusual date, which set the precedence for an unusual journey together. Since I had to stop by church to check in on a rehearsal for a cantata that I was directing a small skit for, we didn't have time for dinner in the beginning of our date. So we stopped at Ground Round and had dessert and coffee. Later, we returned and had dinner and wine. How awesome is that? Dessert first. With that said, I'll close. But not without wishing you the most excellent day with the ones you love. We have a lucky winner of the charming children's book, Pinky Doodle Bug, written by Elizabeth Hamilton-Guarino and illustrated by Sandra Waugh. Email your mailing address and Elizabeth will get a book out to you. It's all about the presents! The sermon at our church yesterday was a bit unusual (which is actually not so unusual when Bob Hartman is preaching). Instead of focusing on the catchphrase "Jesus is the reason for the season," Bob talked about the giving of gifts. And he changed my point of view. You see, I love giving gifts, but money's been a bit tight lately, so we're seriously cutting back this year. That's not a bad thing, mind you, because we all have way too much stuff. The problem here, though, is that I've been insisting that my oh-so-generous husband not buy me anything for Christmas. Insisting. There are a few different reasons for this -- the first one is obvious: money. But it goes beyond that. It's also about the time and stress of shopping and wrapping. I wanted to relieve him of that burden. 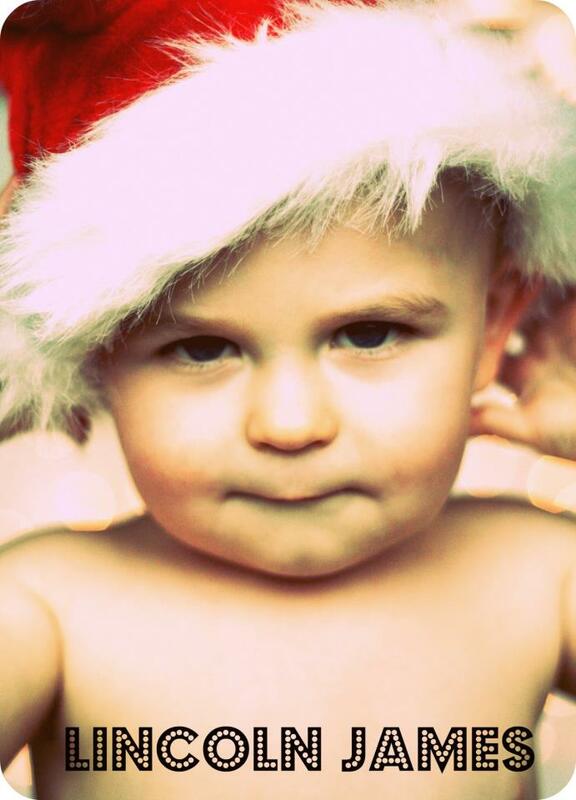 "Let's focus on the real meaning of Christmas instead of getting caught up in the craziness." (I refused to slip in the catchphrase I mentioned above, as I generally don't take too well to catchphrases ... I think they water down true meaning). Anyway, as Bob pointed out in his sermon yesterday, I was wrong. We were created to give. It is a trait inherent in most of us that brings us great joy. And he, and I, am not talking about exchanging lists, buying everything on the lists, wrapping it and handing it to the recipients. Where's the fun in that? Have you ever surprised someone with a gift they simply love? Or with something they really wanted, but they didn't know you'd paid enough attention to know that? Don't you love the way their faces light up as they tear open the wrapping? What do you feel? Immense joy, right? In my "I want to save you money, time and stress" approach, I was actually depriving my husband of something that gives him great pleasure. He loves to buy me gifts for Christmas. So guess what? Thanks to Bob's sermon yesterday, I'm okay with Bill buying me presents. More than okay with it. If it stresses him out a little, that's alright. The payoff will be worth it. "Every good thing bestowed and every perfect gift is from above, coming down from the Father of lights with whom there is no variation or shifting shadow." That's from somewhere in the first chapter of James. I have the whole chapter memorized, so without getting up and looking in my Bible, I'm not quite sure which verse it is. So, yeah, it's all about the presents. While I didn't explain that concept as well as Bob did yesterday, I hope you still grasp what I mean. And, on a side note on this common sense environmental blog -- Don't you love how God even taught us about repurposing when He directed Mary and Joseph to a stable where they place their newborn baby in a manger? A repurposed feed trough. Now that's awesome! Vinegar Fridays -- It's back! Welcome back to Vinegar Fridays where I'll be sharing vinegar tips (with occasional breaks for Friday's 3Rs)! Some of the tips and info will be from the book and others will be brand spankin' new! If your artificial Christmas tree looks a bit worn and dusty, revive it with a good spritzing of distilled white vinegar (DWV) and water (50/50) mix. Of course, you want to do this before you hang the lights (unless they're indoor/outdoor and are made to withstand moisture). While our cats never bothered with our trees, other people seem to have problems keeping them away from the dangling ornaments and sparkling tinsel. Here's where you want to grab your apple cider vinegar (ACV) and give a generous spray around the base of the tree. Cats hate the smell of vinegar and will tend to stay away. Of course, as I wrote about in Chapter 14 of the book, I bathe my cats in ACV, so they might be immune to its repellant qualities. And keep in mind, this will only work for cats and not toddlers! You'll have to come up with a different solution for your rugrats. Expecting an overnight frost? Keep it off your windshield by spraying it with a 50/50 mix of DWV and water. It should be frostfree when you head out in the morning. This is also a good solution for cars in the parking lot at work or at the mall. Keep a spray bottle in your car and spritz the windshield before you head into the office or shopper's paradise. Okay, that's it for today. Just 3 tips to ease a little holiday/winter stress. 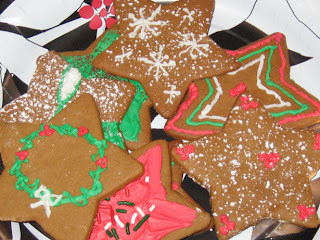 If they don't help with that, a Christmas cookie just might do the job! Have a fabulous Friday! For more great vinegar tips, buy a copy of Green Grandma's Vinegar Fridays, now available on Lulu.com. Yummy. What a way to start the day ... thanks to my cat Theo. At least it wasn't on the couch or braided rug. So I opened the cupboard door and pulled out the rarely used paper towels, and was thankful I had them. Of course, they are the ones made of 100% recycled paper, but I still felt a slight tinge of guilt using so many -- this really was a mess! There are people I know who use lots and lots of paper towels every day and never even give it a thought. Even before I decided to eliminate as many disposable products as possible from my home, I still didn't use an excessive amount. After all, they were expensive ... at the least the ones I bought -- you know, the fancy ones to match my Mary Engelbreit kitchen. Imagine how excited I was when I discovered the Engelbreit line of paper towels on the grocery store shelf one day! Pathetic. How did I break my paper towel habit? Well, it started in the mind -- all I had to do was think of the sheer wastefulness and I was convinced pretty quickly that I had to find an alternative. And the alternative was easy! Rags. Old washclothes. Cut up stained handtowels. I stacked them under my sink for easy access and put a little lidded trashcan in the corner of the kitchen. When there's a mess, I wipe it up and throw the rag in the "hamper." Often, I rinse the rag and hang it over the top rack of the dishwasher. It's an out of the way, yet convenient, spot. My challenge for you today, as a new year draws near, is to rethink your position on paper towels. Use less. Put them in a less convenient place, so family members don't just grab them for every little thing. Reserve them for messes like the one I woke up to. It's an easy and earth-friendly thing to do. And with the rising cost of groceries, it's kind on your budget as well! This week, I'm excited to be reviewing a new children's book by Elizabeth Hamilton-Guarino with whimsical illustrations by Sandra Waugh. Pinky Doodle Bug explores the suppressed talents in so many of us ... talents that no one harnessed when we were young. Talents we may not have expressed 'correctly' as kids, so they were squashed under the heel of appropriateness. You know what I'm talking about. The drummer who was reprimanded for tapping the margarine tub with his fork. The ballerina who was told to sit still when inside she was longing to twirl. And the budding artist whose drawings were simply in the wrong places. Like Pinky, who liked to doodle, until one day when she was told, "You can't do that, Pinky, that's called grafitti." Have you been there? Do you remember what it felt like? The dilemma is obvious from the start of this charming tale. Pinky loves to draw, but rather than someone coming alongside her and channeling her creativity and moving it forward, they simply tell her she is wrong for doing what comes naturally. For Pinky, doodling simply erupts from the passion inside her ... a passion to create art. I had a passion when I was a child. I wanted to write. Fortunately, I had parents who encouraged that talent. Here I am, 5 decades later, doing what I love. As parents, we need to nourish our children's passions and channel them in the right directions. Wait, this is starting to sound like a life lesson instead of a book review. But isn't that what a good book does? Entertains while presenting a moral or a lesson. Look at Aesop's Fables, for instance. Or ... you can win a Hard Cover copy! And it is easy to enter! Simply 'like' the Pinky Doodle Bug Facebook page and on the GG Facebook page telling me what your talent/passion was when you were a child and whether or not your parents encouraged you, or discouraged you, to pursue your dream. Not on Facebook? That's okay. You can just post a comment here on the blog to enter. Elizabeth Hamilton-Guarino is all about encouraging people to pursue their dreams. Her Best Ever You network is designed to bring out the ... well, the best in you!! So Pinky Doodle Bug is a perfect tool for teaching your little ones to stick to their natural talents and create a life based on them. Isn't that the ultimate dream for all of us? As a poet, I'm a stickler for good meter and proper, but not forced, rhyme. This is where I have to add a slight criticism of the book. There are times the meter is off and, in one instance, the sentence structure is miscued in order to create the rhyme ("my words you have found"). But hey, it's a kids' book, not an actual poem, so it is a minor detail that probably only bothers people like me who can never seem to put down their red editing pen. The story itself is fun and the illustrations by Sandra Waugh are delightful. 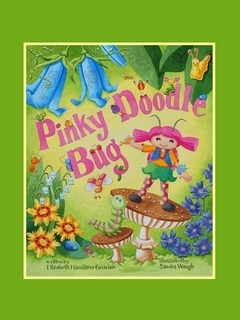 I am quite certain children will fall in love with Pinky Doodle Bug and little girls will want to be her. That's where you, as a parent or grandparent, have to remind her that it's fun to pretend to be someone else, but the best person she can be is exactly who she is!! Entries will be received through midnight EST Monday, Dec. 19, 2011 and a winner will be chosen via Random.org and posted here on the blog on Tuesday. Don't forget to check back to see if you won! I got home rather late last night after going out with friends after our writers' group meeting. As I was about to go down the walk to the house, I checked the mailbox and, lo and behold, my husband had not retrieved it earlier. I pulled out some Christmas cards, a bill, some junk mail and ... a plate of cookies. How sweet, I thought. Someone left some goodies for us. But as I looked through the mail, I realized I had a dilemma. You see, not one, but two of our neighbors slipped Christmas cards into our mailbox yesterday. And one of them added the plate of cookies to their greeting. My dilemma? I don't know which one! So what do I do? If I thank the wrong one, I create an awkward moment for them. If I don't thank the right one, I appear like an ungrateful, self-centered crappy kind of a neighbor. What would you do? Of course, if you happen to be reading this and are the neighbor who did this, you could solve my dilemma right now, by letting me know. Or you could let me squirm. Whoever did it, I must admit I was touched by the gesture. What a thoughtful thing to do! And what a lovely reminder of the way things used to be before we all started hiding in our houses and stopped reaching out to our neighbors around us. This is the perfect time of year to change that. A plate of cookies in the mailbox? Why not? I encourage you to do it for your neighbors ... just make sure you put a to/from sticker on it so there isn't any awkward confusion. The Sabbath Experience ... and what a lovely Sabbath it was! ﻿﻿﻿It was a lovely Sabbath. Really. Despite the cold temps, the sun was shining radiantly. Our worship service was uplifting and thought provoking as Bob talked about seeming contradictions in the Christmas story. I wasn't aware of how low on the social totem pole shepherds really were! And God chose to announce the news of His Son's birth to shepherds! Awesome! He led Gentile magi from far away to come visit the King of the Jews. He demonstrated how Jesus was about to turn everything upside down. Remember how He purposefully healed on the Sabbath? What good Jew does that? I am so inspired by the way Jesus broke through religion and brought about change. He really didn't have much good to say about religious leaders, did He? He much rather chose to spend His time with sinners, like me. After the service, we once again had lunch as a family at Reflections in West View. As I was walking across the street, I glanced through the window and saw an old friend. It was so good to see him cuddling his beautiful one-month-old baby girl. He shared news that saddened me, but it was good to see him nonetheless. 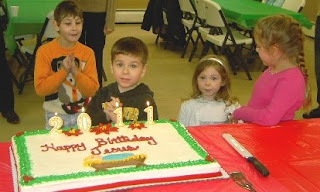 Bill and I watched a movie in the afternoon and then headed back to church for the annual birthday party for Jesus. Several of us shared our talents. I read my story, The Red Glass Pine Cone, and Bill and my three-year-old grandbaby, the lovely little Lady Laura, sang Away in a Manger. Is there anything more precious than listening to a small child singing a song about Jesus? Not to me. Especially when it's my grandchild! After singing Happy Birthday to Jesus, Laura was one of the children that got to spit on the cake ... I mean, blow out the candles. And then, after eating some of that cake, she and my grandson, the little Lord Lincoln, got to run and dance off some of that sugar-induced energy. What fun! Bill and I drove around looking at Christmas lights on the way home. Then we stopped at Applebee's for a drink and half-price appetizers. While we were there, a couple came in and sat down at the bar across from our table. The man turned around and announced to us, "We're the only black people in America that didn't vote for Obama." That was the start of an interesting rest of the night! They ended up sliding in the booth beside us and spent the next couple of hours chatting with us. We steered the conversation off of politics as quickly as we could. It's not a subject either of us wanted to discuss with them, other than my asking them why they felt the way they did about the president. We expressed the things we didn't like about him, but added the things we approved of. I'm one who believes there is always good and bad about every president and choose to pray for him and not tear him down. No matter who he is and no matter how I voted, the bottom line is he is our president and the office alone deserves respect. I abhor the current trend of teaching children it's okay to disrespect the leader of our country. I just think that's wrong. Do I think the president is wrong in some of his policies? Of course. And I'll be happy to respectfully discuss that with you if you ever ask. Bill feels the same way, which leads to a more content marital relationship! It was late by the time we got home, so we headed to bed after Bill put the recycling out for pick up this morning. We didn't have enough trash to make it worthwhile to put out the garbage can, which is always a good feeling! All in all, Sunday was a good day. A good Sabbath rest in the midst of holiday busyness. Even though we were out most of the day, it was still a restful and refreshing day ... and I got to spend it with my favorite person of all -- my husband. Yeah, it was a good day. when they ran out of money. It's about the C word -- you're all familiar with it. There isn't anyone reading this who doesn't know someone fighting cancer, right? Maybe you're pressing on in the battle right now. Maybe it's your mom. Or your child. Maybe it's a friend. Hopefully, they're winning the battle. Unfortunately, that's not always the case. I am so thankful to be able to add your names to this list. Birthdays. You get to celebrate them. How wonderful is that?! But while there is so much being done to help, so much more needs to be done. We spend tons of money trying to find a cure, yet we need to focus on causes and not just cures. You know? Causes like toxins in our personal care products. Toxins in our fabric softeners. Genetically modified foods. Toxins in our clothing. Toxins in diapers. Toxins in formula. Manufacturers need to claim responsibility and quite sticking pink ribbons on products that contain known carcinogens (what is that about?!). We, as concerned citizens, need to demand these things! Why? Because we all have our own lists of people, like mine above. We want to celebrate more birthdays. Get involved. Sign petitions to congress. Boycott companies. Do your research. It's about birthdays. And a lack of them. 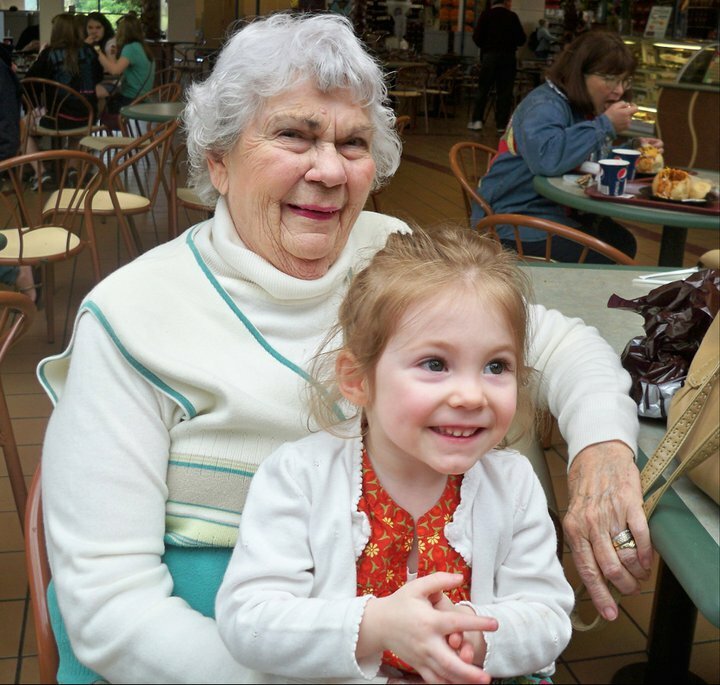 A few years ago, I was speaking with someone whose 2-year-old had suffered a stroke. I was shocked. At that time, I wasn't aware of that possibility. Yeah, that's worthy of writing about. Have you known anyone who has experienced a pediatric stroke? Stroke is the third leading cause of death in the United States. More than 140,000 people die each year from stroke in the United States. Each year, approximately 795,000 people suffer a stroke. About 600,000 of these are first attacks, and 185,000 are recurrent attacks. Nearly three-quarters of all strokes occur in people over the age of 65. The risk of having a stroke more than doubles each decade after the age of 55. Strokes can and do occur at ANY age. Nearly one fourth of strokes occur in people under the age of 65. Stroke death rates are higher for African-Americans than for whites, even at younger ages. On average, someone in the United States has a stroke every 40 seconds. Stroke accounted for about one of every 17 deaths in the United States in 2006. Stroke mortality for 2005 was 137,000. From 1995–2005, the stroke death rate fell ~30 percent and the actual number of stroke deaths declined ~14 percent. The risk of ischemic stroke in current smokers is about double that of nonsmokers after adjustment for other risk factors. Atrial fibrillation (AF) is an independent risk factor for stroke, increasing risk about five-fold. Why am I writing about this today? Because of an email my husband sent me. It outlined the symptoms to watch for if you think someone may have had a stroke. Maybe my posting this will save a life. That would certainly make everything I've done on GG worthwhile. S: Ask the person to smile and stick out their tongue. If they cannot smile or their tongue is 'crooked,' call 911 right away! T: Ask the person to talk or speak a simple sentence. If the words are incoherent, call 911 right away! R: Ask the person to raise his or her arms. Again, if this is a difficult or impossible task, call 911 right away! Got that? S T R. Remember it. Write it down. Carry it in your wallet. You really never know when this critical information might be necessary. If the victim is treated within the first 3 hours of having a stroke, he or she has an excellent chance of full recovery. If not, severe brain damage can occur. Knowing that kids can have strokes, too, is just as important to remember. After all, they're counting on us to protect them whenever possible. I hope you never, ever have to use the above tests on a child ... but just in case, please remember what to do. Review it Wednesday -- What exactly is in that little bottle of water? A couple of months ago, I was sent another product to review. Of course, as is always the case when someone sends me something to write about on the blog, I did not pay for it. You may think that motivates me to post a positive review, but I assure you, it does not. At the very least, I will simply send the product back with a note that I cannot possibly post a good review, as was the case with a children's book I received in October. There just wasn't much good to say about it and rather than pan it publicly, I just slipped it into an envelope and mailed it back to the author (it really was quite awful). I've seen other reviews of the same book and can't help wondering what the reviewers were reading/looking at! Anyway, when I first received the Infotone Face Mist AquaLiv's BioT Bioinformation Technology, I was skeptical. After all, it was just a small, purse-sized glass bottle of water with a tiny white ball rolling around inside. Hmmm. This bottle of water promised hydration, glowing skin, firmness, fewer wrinkles, improved skin pigmentation and a clear complexion. Uh huh. And it was good for an entire year. All I had to do was fill the bottle back up with purified tap water or natural spring water. At least it's free, I thought. It's worth a shot. Well, let me tell you ... I'm in love with this product. If you haven't finished your Christmas shopping and have $35 to spend on someone on your list, this is what you want to get them. Seriously. Since using the Infotone Face Mist, my skin is tighter, there is a slight lightening of those blasted age spots on my face (and hands) and a definite reduction in wrinkles. At this point, the only thing I'm using is my Norwex Body Cloths to wash my face (with plain water) followed by a generous spritzing of Infotone. That's it. No creams, no lotions. And my skin feels amazing. What is it about this little bottle of spring water that makes it so remarkable? The secret is in the ball -- a little white non-toxic 100% natural mineral clay ceramic bead that contains AquaLiv's Bioinformation Technology. Skeptical? Well, the effectiveness has been scientifically proven by Dr. Sean Sleight, ph.D., Department of Bioengineering, University of Washington. The ceramic mineral bead has antibacterial properties designed to eliminate a common parasite that is linked to breakouts and irritated skin. 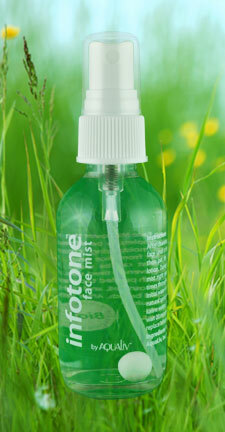 All you need to do after you cleanse your face is douse it good with a generous spray of Infotone Face Mist. Spray it on until your face is dripping wet. Then wait 60 seconds so the moisture can absorb. Pat dry. Follow with your normal cream or lotion, if desired. Throughout the day, you can lightly mist your face right over your makeup. Of course, you want to do it lightly. It makes your skin sparkle a bit. I don't restrict its use to my face, however. I use it on my neck (although I haven't seen improvement on the wrinkles there, unfortunately), and I use it on my hands at least once a day. Apparently, my nails and cuticles are loving it! To dissuade the skepticism of my husband, I did the hand test -- I sprayed a generous amount on the back of Bill's right hand. We waiting a minute, then dabbed it dry. The difference in the texture of his skin was immediate! The back of his left hand was rough. The back of his right hand was considerably smoother. He's a believer. And so am I. I can't recommend this product enough. I love the fact that you can refill the bottle and use it for a year. That means I can spritz and spray to my heart's content, not worrying about "wasting" it or trying to preserve it. Cool, huh? I love that it comes in glass. No plastic chemicals polluting a great product. I love that it's all natural and safe. I can even spritz my granddaughter's face without being concerned. I love that it was free ... but I will eagerly order another bottle at the end of the year ... and pay for it! That's my review for today. Visit the Infotone Facebook page or website for more information. While you're on Facebook, 'like' their page -- it's just a nice thing to do. Infotone Face Mist ... you get Green Grandma's two green thumbs up! Deck the halls then rush out to the malls ... what's happened to Christmas? 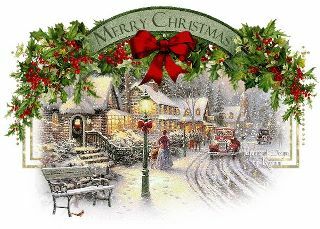 I read an interesting blog post this morning called, I Hate Christmas by Sammy Adebiyi. 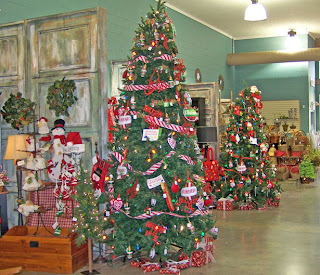 While I appreciated what he had to say, it reminded me of reasons why I Love Christmas, and prompted me to repost the article I wrote on Black Friday 2009. Hope it gives you a different perspective as well. I'm not one to rush out on Black Friday and battle the crowds for a deal. As a matter of fact, I purposefully hole up in my home on that day and avoid the malls. But I certainly don't bemoan the brave (or crazy) souls who choose to embrace the challenge of getting a good deal. Then there are those who will complain that Christmas is too commercialized and either forsake Americanized traditions or will partake, but moan and groan about it continually. The emergence of sayings such as, "Jesus is the reason for the season," did little more than create more products to buy to advertise that very fact in your home. However, regardless of your spiritual leaning, Jesus IS the reason for the season, and no amount of commercialization can change that. Yes, I know the day started off as a pagan holiday, but it's been transformed, shall we say, "reborn," and is, without a doubt, a day where Christians around the world celebrate the birth of Emmanuel...the day when God Himself chose to come and dwell with us. But what about the commercialism? Hasn't that tainted a "holy" holiday? Not in my opinion. I celebrate the commercialization. Why? For a variety of reasons. As a Christian, I find it refreshing to hear carols wherever I go, whether I'm in the mall, a doctor's office, a workplace, a flower shop...at what other time of year do you hear the name of Christ proclaimed so unashamedly? I rejoice to hear The First Noel or O Holy Night when I'm grocery shopping or getting my hair cut. I see it as creative evangelism. Another reason I'm all for the commercialization of Christmas is because, despite the fact that it may bring out the worst in people (particularly on Black Friday), it also brings out the best in them. There is no other time of year when people reach as deeply into their pockets and give. Whether it's giving of a present to a family member or friend, taking cookies to a neighbor, leaving a generous tip for a waiter, slipping a twenty dollar bill into a red kettle or writing a check to a charity, December's giving far exceeds any other month of the year. Think for a moment what would happen if we eliminated Christmas as a national holiday...if we stopped the commercialization in its tracks. 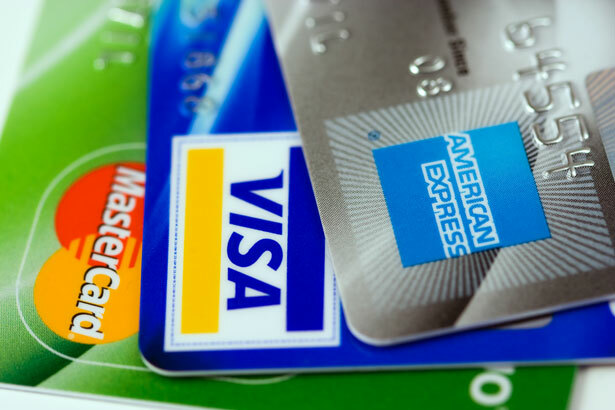 Within the next few years, how many of your favorite retail stores would close their doors? How many non-profits would cease to exist. How many homeless people would die without organizations like the Salvation Army offering shelter and a warm meal? It's rather scary when you think about it. And what will happen to the Christmas story two or three generations from now? Would it cease to exist as well in the minds of the majority of Americans? Would Christmas become a quiet holiday shared only by the faithful few who still believed the God who created the Universe would come to earth as a newborn babe? That seems like a far cry from the glory that surrounded that first Christmas as angels sang and announced the birth of a Savior and shepherds rushed to worship Emmanuel. And let's not forget the journey of the Magi -- seeking out their King and bearing gifts. Singing. Rushing. Giving gifts. Christmas. I celebrate the birth of my Savior. And I celebrate the commercialization of His birthday. When you hear someone saying "Merry Christmas" as they leave a store or restaurant, it just might be me. It may not be politically correct, but let's face it folks...it's what it's all about. The congregation was excited. Our associate pastor, Tom Fodi, who is an Air Force Chaplain serving in Iraq, was about to appear on screen via Skype. The anticipation swelled as the young man in the multimedia booth announced to his father Bob Hartman, the pastor, that something wasn't working. Imagine Tom's mother's disappointment as she was eagerly awaiting the sight of her only son's face and the soothing sound of his voice. Now imagine her delight when, instead of seeing him on the screen, she watched as he walked through the side door, crossed the front of the sanctuary and wrapped his arms around her! That's what happened at church yesterday morning. And I missed it. As I mentioned last week, I felt it was important to go to Manheim, PA and spend the weekend with my mom, which is where I was when this glorious moment unfolded before the eyes of my church family, who, as is apparent in the news coverage video, was squealing, screaming, sobbing, etc. to see Tom home safe again. Only a handful of people knew he was coming home, including his wife, of course, who got the news just a few days beforehand. His dad found out 10 minutes before church began, but his mother was clueless. What a moment. For any of you who have prayed for the safety of someone they loved who was serving overseas and then finally felt their blessed embrace, you know a little bit of what yesterday felt like to the members of Emmanuel Christian Church. We're a small congregation, and yesterday, there were close to 30 regular attenders missing. How disappointing for each and every one of us. Click here to watch the CBS/KDKA news coverage of the homecoming surprise. Look at Carol's face. That is the face of a mother whose prayers have been answered. I can't help thinking of Jesus when I watch this ... about how His face must light up as His children come home. I look forward to someday seeing that look as He wraps His arms around me in safety and says, "Welcome Home." Friday's 3Rs -- this is something to sing about! I'm psyched about this. I just found out that Pennsylvania-based company, C.F. Martin and Co. is now making guitars out of recycled Sitka Spruce from dismantled bridges from Canada. What does that mean? It means less trees being cut down to create Martin Guitars! The company started putting environmental policies into place in 1990 and continues to investigate ways to implement more sustainable practices on a day-to-day basis. Rather than going on and on about it, please refer to the YouTube video I've posted below. It's actually quite interesting stuff. C.F. Martin and Co. ... You get GG's two green thumbs up! A friend happily posted this on Facebook today: IT'S DECEMBER!!!!!!!!!!!!! I must admit, I don't share her enthusiasm. December. Really?! What happened to this year? Things that happened last November seriously seem like they happened just three or four months ago. Is it an age-related thing that time flies by sooo fast? I must also admit I'm not at all ready for Christmas. There already are not enough hours in the day to include shopping and wrapping and visiting, etc., etc. But somehow it will all get done, albeit with a bit of sleep deprivation. When I spoke with my mom a couple of weeks ago, she told me she doesn't want people to buy her anything, she just wants us to come visit. There was an uncharacteristic quiver in her voice as she said it. "I get so lonely," she continued. My mother will be 85 next month. She lives alone 240 miles away from us. Neither of my sisters live close by either, and she's been widowed twice. She doesn't need another robe. She needs company. So, back to my dilemma of not having enough hours in the day. I don't. However, tomorrow morning, I'm loading up the car, picking up my daughter and granddaughter and we're heading east on the turnpike. What do I miss out on? A full day of work, light up night in the small town where I'm being featured as "Artist of the Month" in one of the stores that is selling my book, a Saturday that would normally be chock full of chores and my Sabbath routine. What do I gain? Invaluable time with the woman who gave birth to me, read to me, scratched my back as I laid across her lap on long car trips (things were a lot different then! ), helped me with my homework, sewed my clothing for me, taught me how to be a savvy shopper, encouraged my creativity, typed my essays for writing competitions, demonstrated a strong work ethic, modeled tenacity and courage, adored my children and grandchildren, gave generously, and so much more. May I never complain about taking the time to visit with her, for there will come a day when that will no longer be an option. What about you? Is there someone in your life who you never seem to have the time to squeeze in a visit with? If they were gone tomorrow, would you have regrets. It's December! Possibly the busiest month of the year. Don't let your busyness crowd out what is truly important? Could I stay in Pittsburgh and get some shopping done? Sure. But Mom doesn't want presents, she wants my presence. So that's what she's getting. That and a couple of bottles of Bragg Apple Cider Vinegar which she hasn't been able to find anywhere. Oh, and a copy of book, of course. We're going, going, going to Grandma Gene's. What can I say? Laura and I sing about everything!